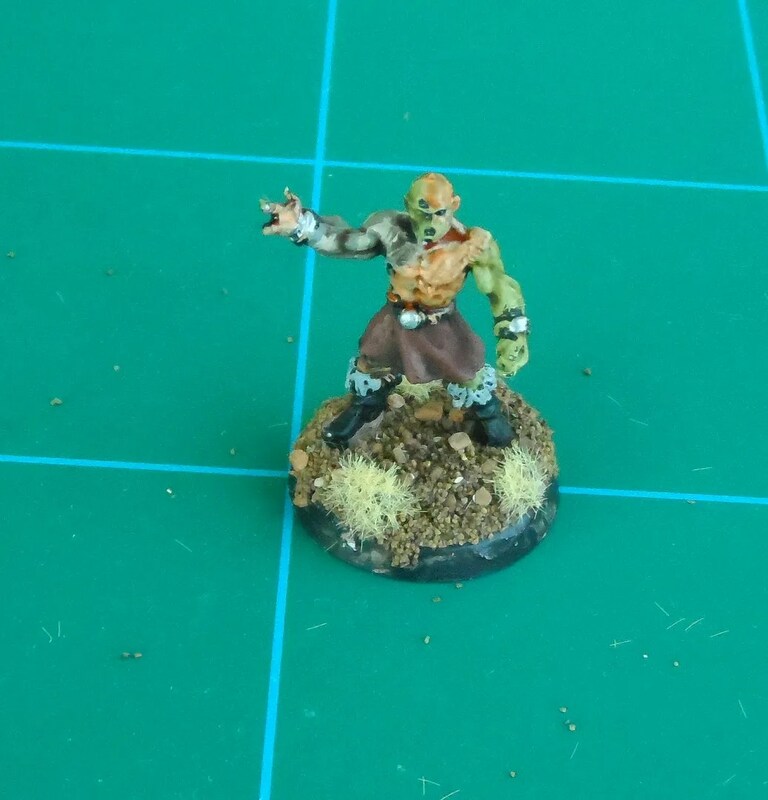 Possibly one of a trilogy of posts about painting stuff that is not a joy to paint. 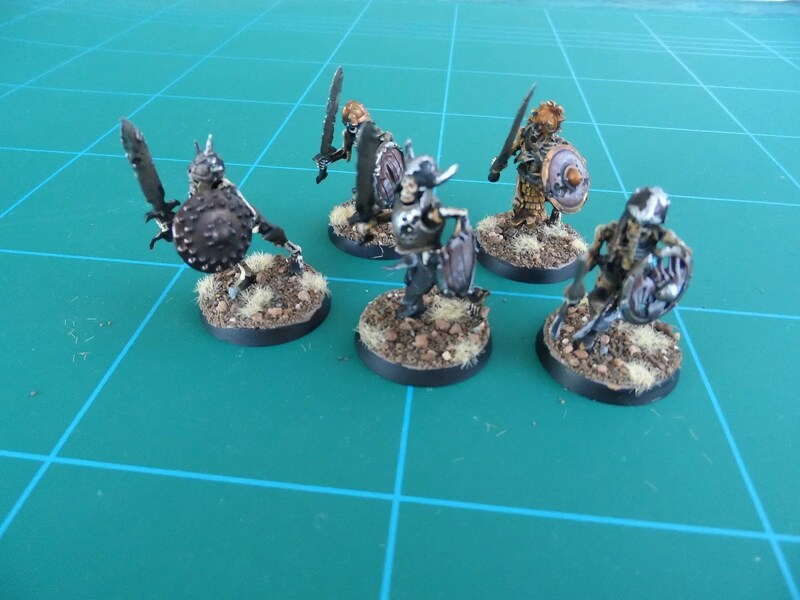 Five armoured skeletons – some of the latest GW plastics, which were ok to paint but a right *** to glue the torso to the legs. Minimal painting as wandering monsters they will get trashed quickly. Unlike watching “Young Frankenstein”, the next item was not much fun and provided no laughs. Flesh Golem, from Northstar. Similar to a few of their other metal offerings for Frostgrave, this item is much smaller, almost 25mm in sized and way smaller than the skeletons and so on. Whilst the sculpting in itself is fine, and the casting is fine, the sheer disparity in scale with other figures simply meant my heart was not in it. I think it shows in the paint job which is serviceable. Still, it has a name. Dig your colours on them! All liberally washed with Agrax Earthshade. – Colours Matt Alfie tester pot !